Thank you for your card requesting 10 Pictures for members of your club. Encl. is one for yourself & if you will be kind enough to send me a list of the members names (1st names) I shall be pleased to send them to you. Thanks again & Best wishes always. Thanks for the compliments on our TV appearance. Frankly I was shocked and embarrassed, being put on the spot totally unprepared. I still haven’t gotten over it. Thanks for the compliments on our TV appearance - frankly I was shocked & embarrassed, being put on the spot totally unprepared - I still have'nt gotten over it. I appreciated the honor bestowed, but sincerely wished it had never happened - I felt like 5 million viewers were saying "So what"!! seemed like a nightmare. I enjoyed seeing some of the old gang again after the show, had a lovely party at the Roosevelt Hotel. Am delighted to hear you are going to eventually go to Las Vegas & get into business again - working for Tony Cornero would be a stepping stone to having your own place later on, I think its wonderful Betty, you will gain lots of experience without any risk & should build up a name a great clientele. There was something on TV last night about Government land lots in Vegas to be sold for 50 Dollars down, I think it was the same deal they had in Palm Springs a 1itle while ago. I imagine you could get the full information from the Vegas Chamber of Commerce - might be worth your while to look into it. All for now Betty. Mrs L. wants to thank you for your nice compliment & joins in every good wish to Wayne & self. 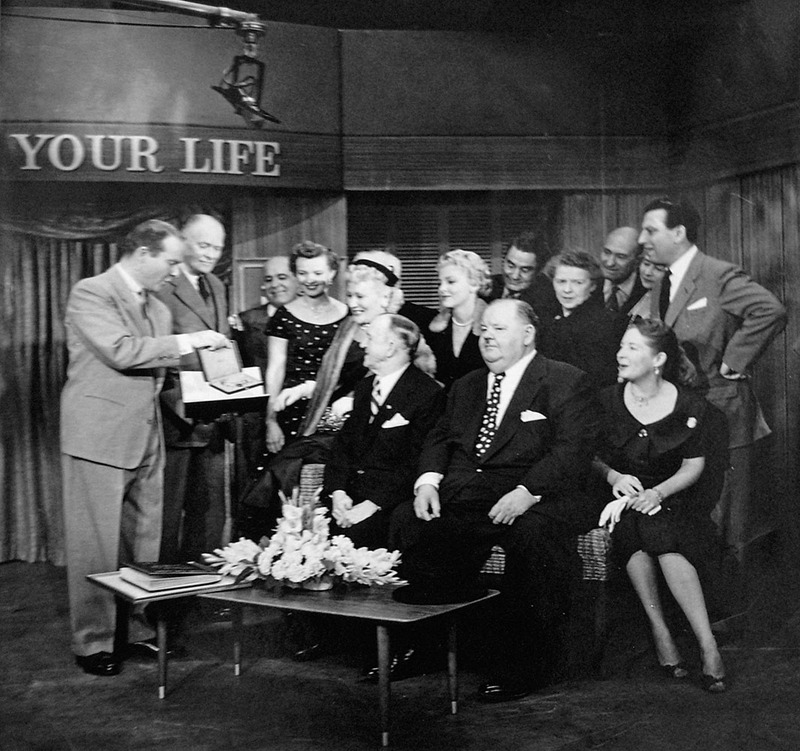 On December 1, 1954, Ralph Edwards of television’s This Is Your Life, surprised The Boys who were lured to the Knickerbocker Hotel for what they were led to believe was a meeting with producer Bernard Delfont. Instead, they were whisked onto the live television program, where Mr. Edwards told their life story and introduced them to guests from their past. 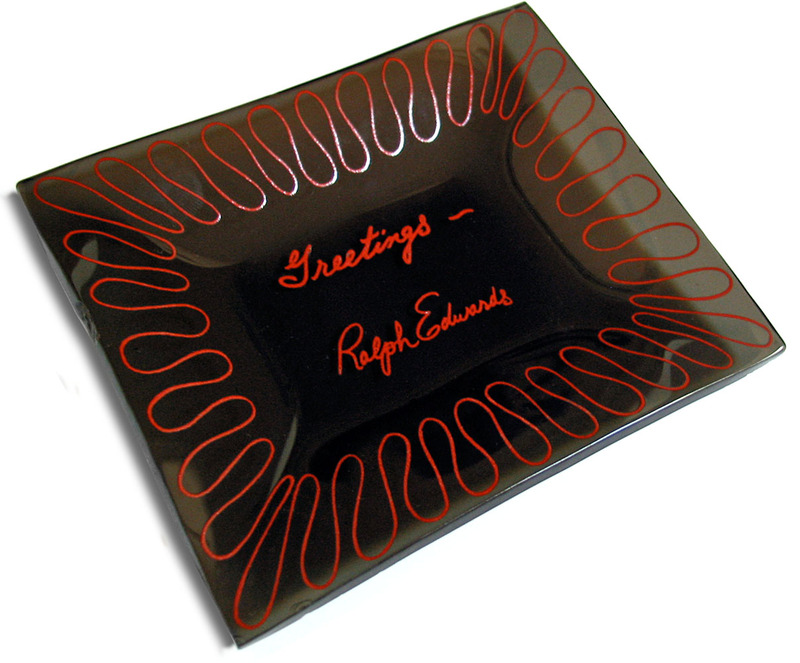 I am really at loss for words Ralph, to fully express my thanks for the wonderful tribute you paid us. Many thanks for yours of the 13th.inst. with enclosure of Fan Mail. I am really at loss for words Ralph, to fully express my thanks for the wonderful tribute you paid us, but do want you to know we felt deeply honored & sincerely appreciated your kind thoughts, deeds & wishes, & are very grateful for the very happy memory. Please convey to your wonderful Staff our admiration for their thorough efficiency & thanks for the extreme courtesy extended us. Mrs. Laurel joins in every good wish to you & all for a very Merry Xmas & a Happy New Year. Thank you for your letter 15th.inst. Every good wish to you & all for a very Merry Xmas & a Happy New Year.